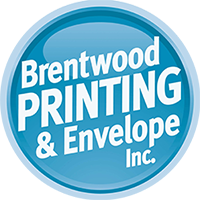 Welcome to Brentwood Printing and Envelope, Inc., your full-service printing, mailing, and problem-solving center located in Cincinnati, Ohio. It's back to school time, and that means event season is in full swing! Did you know that we provide complete event printing services? We do it all -- from invitations, save-the-date postcards, posters, and tickets of call kinds to bid sheets, programs, booklets and everything else you can dream up. We can even address and bulk mail your project at the Post Office for you. We print complete event packages for churches, synagogues, clubs, non-profit organizations and schools around the region -- and we'd love to print for you, too! Our website is here to serve you 24 hours a day. To place an order or get help with a new project, click on our online Customer Service Center. To download useful software and find helpful information, search our Resources & Support area. To learn more about us, browse through our Company Information section. You'll find an easy-to-use pulldown menu, search engine, and link to our contact form on each page. And of course, email or call us for prompt, personal service during our business hours. If you're one of our regulars, welcome back! And if you're new to our site, bookmark it now. We'd love to be your printer!